Join us for our 6th annual winter stone soup series of engaging talks and delicious homemade soups. This year's theme -"Digging Deeper; Exploring Wakefield Estate's Varied Collections" - allows for a deeper look at four different aspects of the Wakefield Estate's collections which range from our archives to our world-class arboretum plant collection. 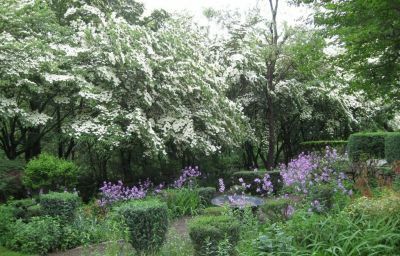 April's Stone Soup and Speaker event will feature an opportunity to hear the deeper story behind our arboretum's tree collection with Landscape Director Deb Merriam. This program will be held in the Isaac Davenport mansion located at 1465 Brush Hill Road starting at 6:00 pm. To RSVP, call 617-333-0924 x22.